Session Mead with Cherry and Spices Added. 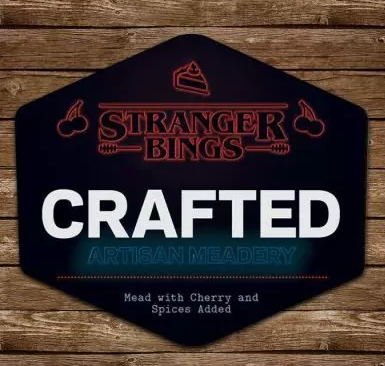 This cherry pie-inspired mead is believed to have been formulated in a suspicious government lab in our small rural village of Suffield. Our meadmaker, Jared, went missing while riding his bike home from work but we’ve been able to communicate with him through the walls of our brite tank in what seems like an alternate, dark, reality. A reality filled with graham, vanilla and sweet, decadent cherry and honey bliss.